Pizza Hut and Cinnamon partner up to make new Crafted by Cinnabon Mini Rolls a permanent addition to the Pizza Hut dessert menu. 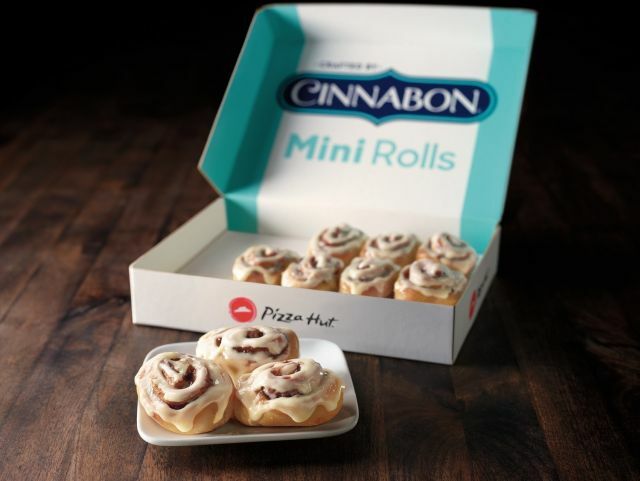 Available nationwide, an order includes 10 miniature cinnamon rolls made with Cinnabon's trademark Makara cinnamon swirls and topped with the brand's signature cream cheese frosting. The price per order comes in at $5.99 (may vary). Like the rest of the menu, the mini cinnamon rolls are available for delivery, carryout, or dine-in (at some locations).